Today I spent time playing with individual parts and thinking about how to put them together. I like the way these look, I think I can make a fun pendant. 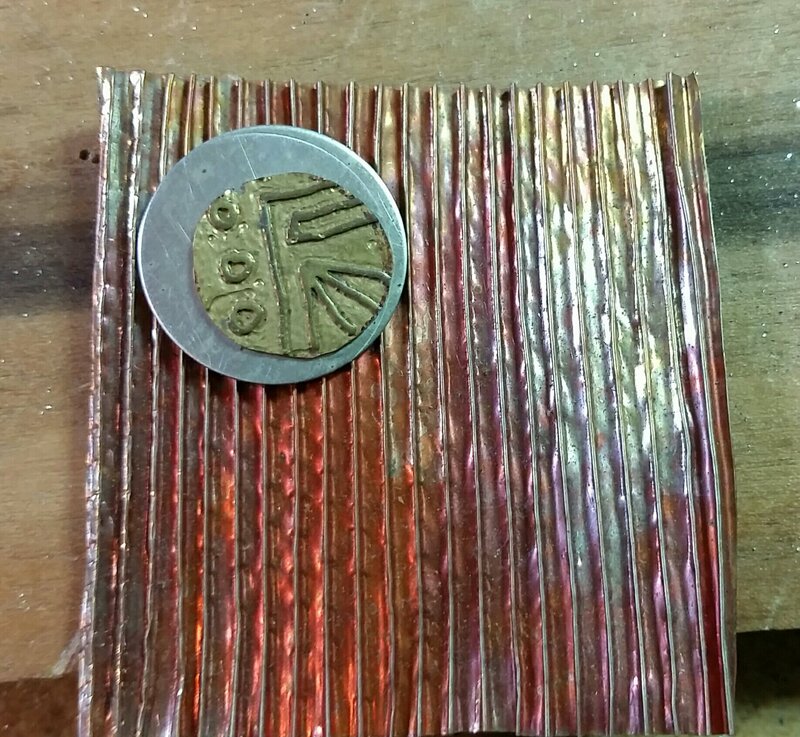 Etched brass, silver, and copper that’s been through a tube ringer & and then torched. This entry was posted in Art, Metal and tagged 100 Days of Metal, Design, Mixed Metal. Bookmark the permalink.